The 2016 “Modern Family” law made a number of important changes to the Illinois Marriage and Dissolution of Marriage Act. However, it did not change the fundamental makeup of a Parental Responsibility Allocation order. While the parents are married, all decisions concerning the children, from what time they go to bed to what doctor will be their primary physician, are made by agreement (both parents collaborate) or default (one parent is shut out or does not care). After the divorce, these decisions must be written in black and white, to the greatest extent possible, to minimize future disagreements. Decisions can still be made by agreement, even if they are outside the parameters of the court order. Bear in mind, however, that such side agreements are not legally binding. The only way to change the terms of the order is to have a judge legally modify the original provisions. Joint custody is the preferred model in most cases. This is actually an umbrella term for the two components of a Parental Responsibility Allocation order. In short, legal custody refers to the right to make legal decisions concerning the children. Such decisions include, education, health care, extra-curricular activities and religion. The parent with primary physical custody of the children is typically, although not always, the one with legal custody. In uncontested cases, many judges, and parents, prefer a joint custody model. The problem is that each parent has an absolute veto over the other parent. One way to avoid this dilemma is to integrate legal decisions into the decree itself. For example, instead of a provision that says the parents jointly have the right to determine the children’s religious upbringing, the papers may specify that the children will be raised Jewish or Catholic or whatever. In a similar manner, one parent has the right to determine the children’s residence, and the other parent has visitation rights. 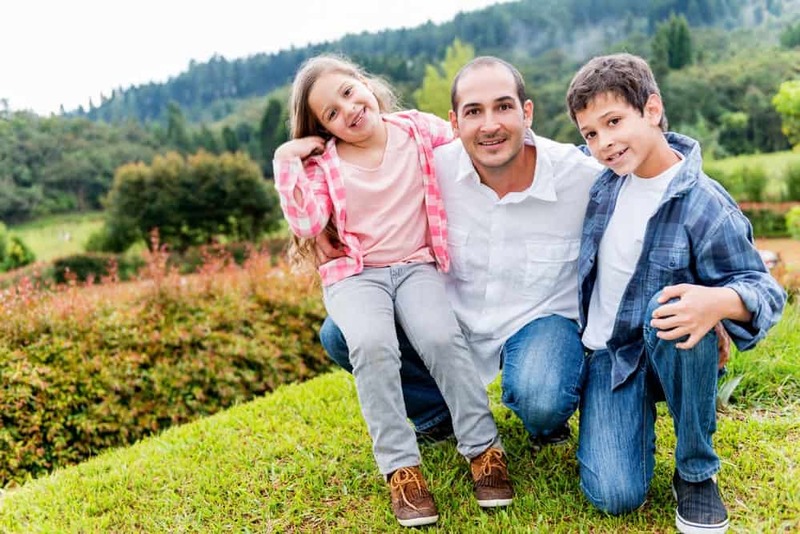 The exact terms vary, but most non-custodial parents have custody of the children every other weekend, every other holiday, and most of the summer vacation. The bottom line is roughly a 60 percent and 40 percent time split. Day-to-day decisions, like bedtimes and discipline, are largely within the purview of the parent with custody at that moment. Many parents opt to specifically determine residence, again in order to minimize future disputes. For example, the decree may state that the children’s residence is limited to Will County and any contiguous counties. One major law change in terms of physical custody was an amendment to the modification provision. Before, a parent with legal custody only needed the court’s permission to move out of state. Now, an intrastate move also requires court approval, in most cases. A clear and concise Parental Responsibility Allocation order is a foundation for future co-parenting. For a confidential consultation with an experienced Will County family law attorney, contact the Reidy Law Office today.